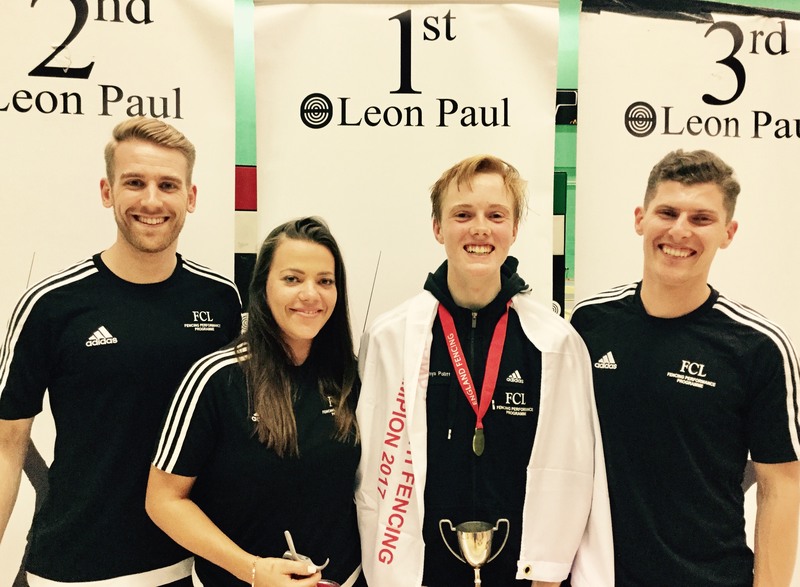 British Under-14 Boys Foil Champion 2 years running. 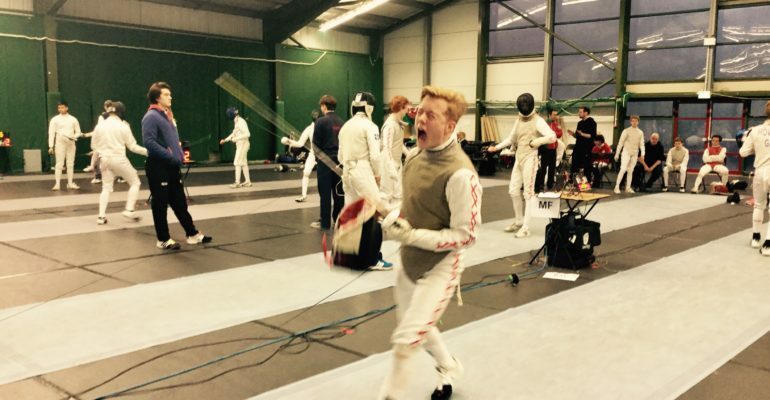 England Under-13 and Under-15 Boys Foil Champion, holding both the English and British titles in the same season. Number One in the Under-15 England Boy’s Foil Rankings 2017. Quarter-Finalist at The Under-17 Cadet National Championships 2017, with three seasons left in the age-group. 2017 has been an interesting year competitively where I have taken advantage of being able to enter senior events, as well as continuing to progress through the Under-14s and Under-15s. Fencing likes its age categories, and I have done the U23 British Nationals, Under-20 British Nationals, Senior British Nationals as well as The Birmingham Open. In the latter two competitions I was drawn against two of the best fencers in Great Britain, who both went on to win the Championships. Getting to fence such high-calibre competitors keeps the game exciting, and gives me chance to work on different mental and physical tactical and technical aspects. This kind of experience then serves me well at the younger age-group competitions. 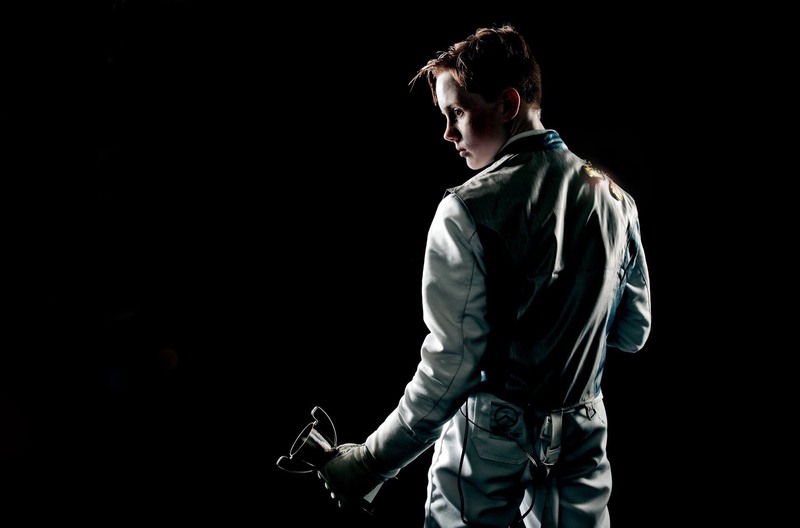 Be the best I can be, and strive towards giving GB fencing an even greater profile on the world stage. GLL has allowed me to access a level of training that is necessary for any athlete who wishes to aim for the top. My free gym membership has, I believe, played a significant part in my results this season. Being able to do regular gym sessions means I can target key fitness areas I need for fencing so come the day of the competition I feel prepared and confident. The GLL financial award has helped me to fence in Europe this year and gain invaluable experience. Once in March for the Challenge Wratislavia held in Poland, which is the toughest and largest international competition for any fencer under the age of 15, and a trip to the biggest international camp in fencing. This one is particularly crucial to me as it is a pre-season camp where I can fence people I would never normally get the chance to meet en piste. The level and quality of the camp is world class and thus is a massive game-raiser for me. All of these things aren’t possible without the support of GLL who help me access to these incredible opportunities that bring me ever closer to my goals. Thank you to Rafael for sending in his athlete story – we really appreciate athletes giving up their time. We’re very proud to be supporting his fencing journey and wish him the best of luck in the upcoming seasons!